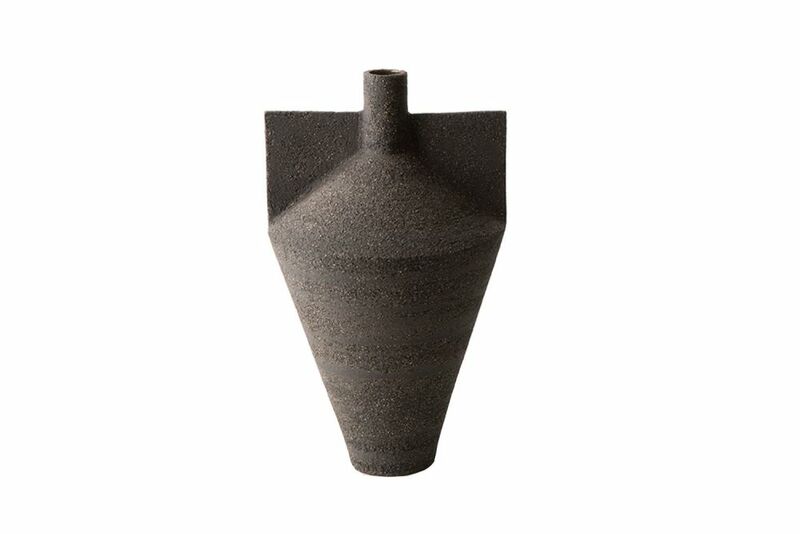 Jana is a collection of ceramic vases made from black earth, characteristic of Sardinia, which have a handcrafted form. This very traditional design has been redesigned with a contemporary style, retaining the charm of a past era that affects both the color and the materials finishing. Born in 1987, Antonio Forteleoni graduated with a degree in Interior Design in 2010 from the IED in Milan. He furthered his knowledge in product design at Central Saint Martin’s in London. He was noted for his talent at an exhibition at the Abitare il Tempo fair in Verona in 2012, where he was recognized and selected from a group of young designers by Giulio Cappellini. His aesthetic is based on the concept of the materiality of surfaces and on the contemporary reinterpretation of traditional elements. His work is an organic process where the traces of time and natural imperfections arise from the choice of materials which are part of his definitive vision. His works have been exhibited at the Salone del Mobile in Milan, Maison et Objet in Paris and the ICFF NY. Cappellini faced the new millennium inextricably linked to the world of images, exploration and research.